Elizabeth Dazzio, one of the members of the Gourmet Girls team, hand-paints a chocolate mold. Photo by Collin Richie. It’s not uncommon to overhear the catchphrase “phone eats first” tossed around while you’re sitting down at one of your favorite restaurants, cafes or cocktail bar. For those who need extra millennial lingo help, it simply means that you can’t dive into a mouthwatering dish without saving a memory of it first. 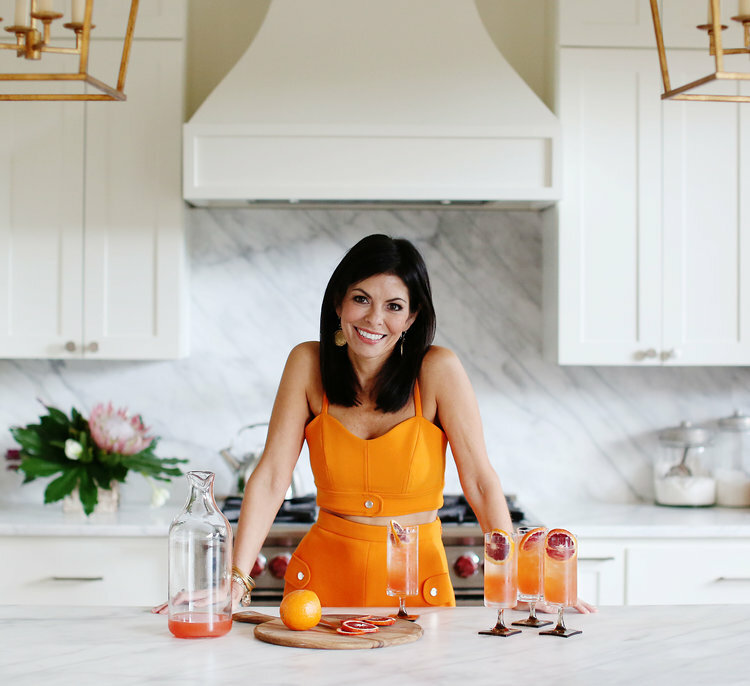 Katia Mangham, founder and owner of boutique catering company Gourmet Girls, foresaw the art of food catching the attention of culinary enthusiasts more than the taste itself. Mangham’s mission is to translate her passion for pastries, food styling and culinary trends to create treats that not only please every palate but stand on their own as pieces of art. Katia Mangham let her passion for pastries lead her to develop a business centered on the art of food. Photo courtesy Gourmet Girls. What many may not know is that Mangham received a degree in fine arts that focused on drawing and painting. “Gourmet Girls has allowed me to explore my creativity even further,” says Mangham, who now translates her talent into food. 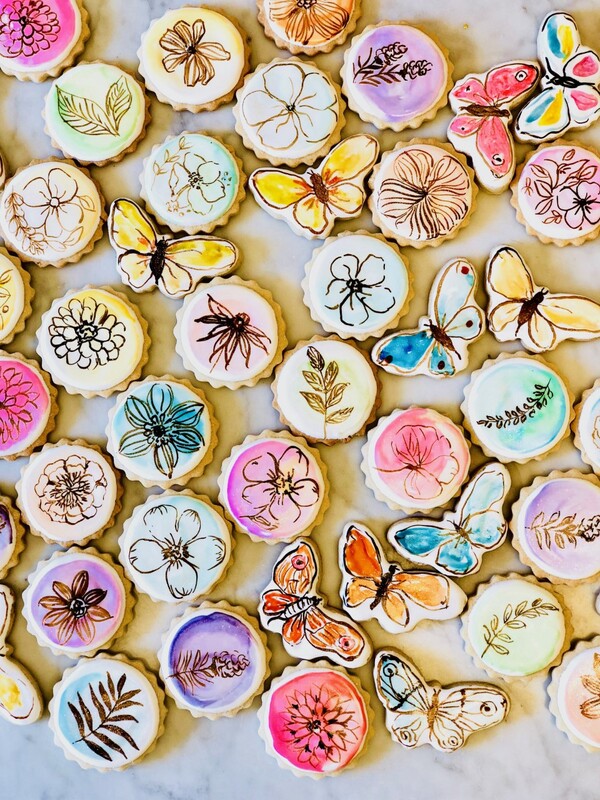 She hand-paints seasonal images onto cookies, chocolate bon bons, cakes and basically everything that is sold at Gourmet Girls’ Studio Park storefront as well as the food that is catered for private parties. Her favorite task, however, is hand-painting cookies. “Cookies have been my thing for 20 years” explains Mangham. 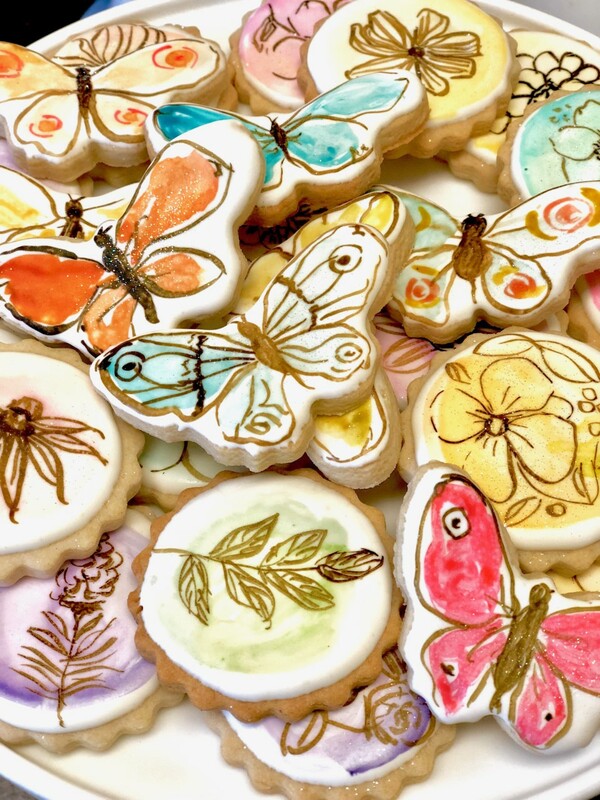 The sugar-based treats serve as blank canvases for Mangham to freely express herself. It’s a time-consuming process that directly shows the love she has for her work. 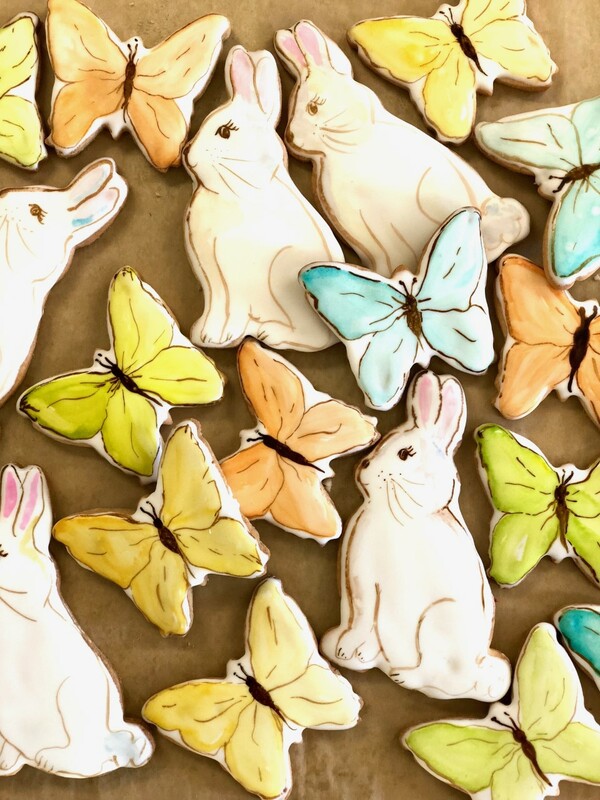 Not only does Mangham personally watercolor on hundreds of bunnies, butterflies, flowers and more per day, but she hand-tempers her own chocolate. “It’s a very complicated process,” adds Mangham, who laughs at her self-proclaimed chemistry degree. To begin, she must first hand-temper the cocoa butter as well as the chocolate itself to stabilize and give it a smooth, glossy finish. She then hand-paints polycarbonate molds with tempered cocoa butter to add some personality and flair to the tiny treat. Lastly, the hand-tempered chocolate is poured over the drawing into the mold, then left to cool and harden into a tasty bon bon. Perfectionist that she is, Mangham doesn’t stop there. 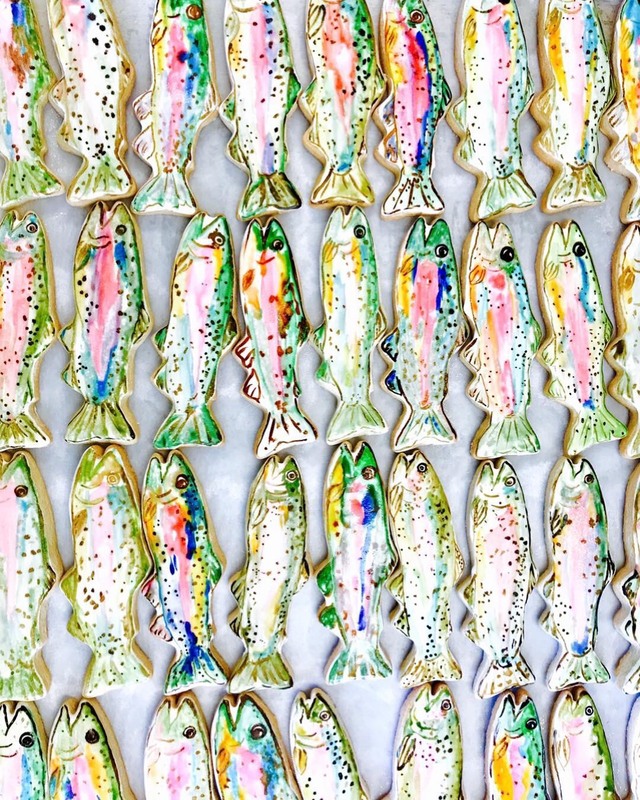 She typically goes back in with her paintbrush after the chocolates emerge from their molds to touch up any spots or add more edible details. Aside from these crafted bon bons always filling her store case, customers can expect to see Easter boxes stuffed with either cookies or chocolates that are available to pre-order for this spring. Gourmet Girls also has an Easter menu that can be tried right inside the store or catered for upcoming events. For more on Gourmet Girls’ hand-painted desserts, visit gourmetgirlsbr.com. And read about how Mangham plans the perfect party in this story from the inRegister archives that also includes a few of her favorite recipes and tips.